UPDATE: Reminder to racers that the Pre-Registration deadline is January 17. Please send this in to help with Registration and you will be entered into the Pre-Reg Free Entry drawing. Also, the ceremony for the 2013 NSRA Champions as well as the Fast Fours Oct Shootout Bonus Bucks Winner will take place on Friday night after racing action has completed by the tower. The Fifth Annual Top Fuel Shootout at Dome Valley Raceway in Wellton, AZ is just around the corner on January 24-26. This event is gaining a lot of interest across the country and will be a great start to the 2014 sand drag season. Don’t forget about the PTN-sponsored Pro Truck class on Friday along with several other classes of action. The race information is listed below. Click the links for full event info. 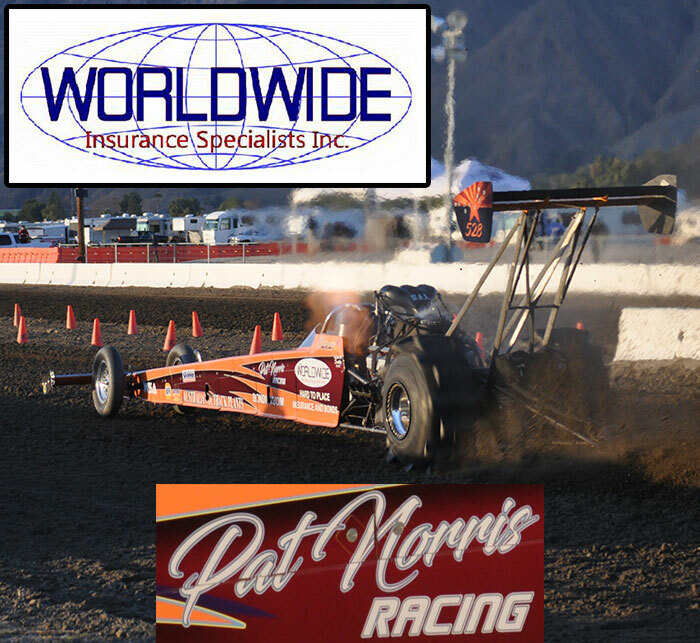 Here is an exclusive look at the new Pat Norris Racing Top Fuel Dragster. Driver Marcus Norris is excited to step on the throttle of the team's Nitro-burning Hemi in this ex-Don Schumacher Racing 300” chassis that is replacing their old ride. The car is nearing completion with a wrap coming next in the process. Marcus would like to give a big thanks to his crew David, Chris, and Glenn along with his Dad (Pat) for all of their help putting this car together. He would also like to thank Dennis and the Hammer Down crew for all of their support. Look for the Pat Norris Racing team to debut this new ride at the upcoming Dome Valley Raceway Top Fuel Shootout on Jan 24-26. Marcus said he can’t wait to shake down the new car at the team's home track. We are saddened to report the recent passing of Arizona sand drag racer Tom Jaworski. Tom passed away a few days ago after being involved in a Motorcycle accident. Since becoming involved in sand drags, Tom has raced at Dome Valley Raceway (Wellton, AZ) and The Dirt 300 (Albuquerque, NM) in the cars pictured to the right. Tom started out in the Purple Altered, then purchased the Rebel Warrior Jeep from Michigan and dipped down in to the 3.5 second zone with it. 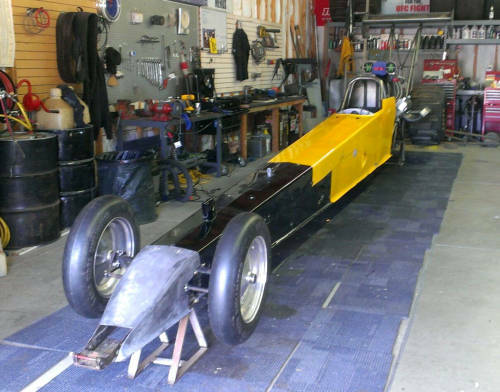 He had most recently purchased the “Predator” Blown Alcohol Dragster and was preparing it for TE class action. Tom’s longtime girlfriend Jennifer was always by his side at the races, and had recently started driving the Purple Altered. NSDN sends our condolences to Tom’s Family & Friends. Click "Read More" to view some more photos of Tom in action. The 2013 Southern California Sand Drag Association (SCSDA) season wrapped up in mid-November with the Season Finals at the Soboba Casino in San Jacinto, CA. Cool temperatures made for some great times and side-by-side racing with point’s championships in two different race series on the line. Read on for the full story from this event. The 2013 NSRA Quality Aircraft Care point series put on a great show on the west coast over the course of the season. All seven events were highly competitive with racers battling it out all season long for the big prizes at the end of the trail. Let’s take a look at the highlights and top performers from the season that was. 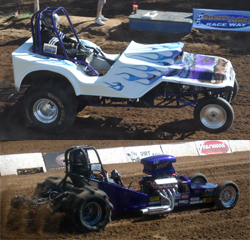 The Mid-America Sand Drag Series presented another great series in 2013 contested between events at Atoka Motorsports Park (Atoka, OK) and Thunder Valley Sand Drags (Grain Valley, MO). Unfortunately, one event at Thunder Valley was rained out cutting the series to three events, but the series was a positive for both tracks with lots of cross track & state competition for the championships. After being shut out in year one of the MASD series, Oklahoma came back with a vengeance taking three of the four championships while Terry Glasscock brought home one title for Missouri. Let’s take a look at who were the top performers throughout the MASD series. It has become a tradition for me to sit down in December and reflect on the season of sand drag racing that was for this end of the season version of Editor’s Notes. It’s amazing that after seven years of covering sand drag racing and many more before that as solely a racer, the only thing predictable about the sport of sand drags is its unpredictability. I’m not going to lie, there were tons of high points but just as many low points over the course of the season. But as I sit here with snow falling, wind blowing, and the heat cranked up; there’s nowhere I’d rather be than at a race track under sunny skies with the sights and sounds that can only be found at a sand drag event. UPDATE: This is a reminder that the 2014 LVJC Jeep Jamboree is just around the corner on Feb 15-16. Be sure to check out all the info below on this event. NSDN will be on-site with full coverage. The 42nd Annual Las Vegas Jeep Club Jamboree is just around the corner on President’s Day Weekend 2014. This traditional event will feature Hill Climbs on Saturday and Sand Drags on Sunday. There have been some big changes to this event for 2014. Check out the new LVJC Page on NSDN to view full Event Information.